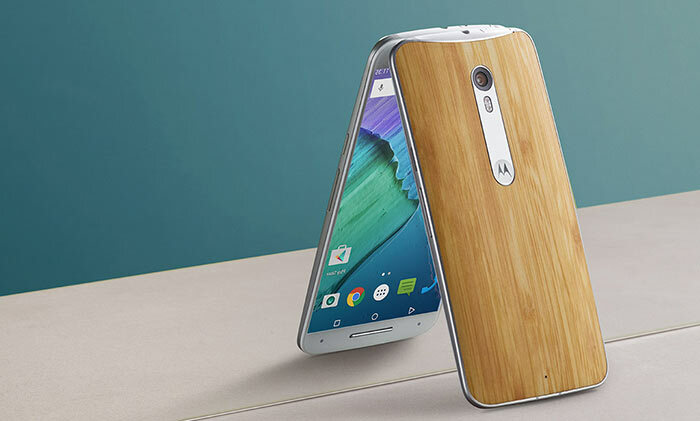 Motorola launched a new version of its popular Moto G and two new Moto X smartphone models yesterday. As you would expect, the Moto G is priced to be popular but the latest version manages to address a significant weakness that was present in its predecessor. The new flagship Moto X Play and Moto X Style smartphones pack in appealing features and are aimed to undercut premium rivals from the likes of Samsung, Sony and HTC. This is the third generation of the Moto G and it has significantly upgraded cameras. The 5-inch 720p display equipped smartphone now has 13-megapixel camera and dual-LED flash on the back and a 5MP selfie camera. Users can record 1080p video at 30fps. Probably the next most important upgrade is the IPX7-rating, so it's safe from the odd splash and drop into water. The processor is the slightly newer Qualcomm MSM8916 Snapdragon 410 which is based upon a quad-core 1.4 GHz Cortex-A53 CPU paired with an Adreno 306 GPU. As previously rumoured, the 8GB version of this smartphone comes with 1GB of RAM while the 16GB model is graced by 2GB of RAM – both have a microSD card slot. The new Moto G is customisable via the Moto Maker with lots of colours and shells as seen below. Android OS, v5.1.1 comes installed as standard. Pricing in the UK is "from £179.00" via the official website but bargain hunters will have noticed that the base model is around £139 at some UK retail outlets. The Moto X Play is built around a 5.5-inch 1080p screen, offers up to a "two day" (3630mAh) battery life and features a new 21MP f/2.0 main camera complemented by a 5MP selfie camera. It is powered by a 1.7GHz Qualcomm Snapdragon 615 Octa-core CPU, Adreno 405 @ 550 MHz GPU and is equipped with 2GB of RAM. Motorola's Moto X Style smartphone offers a 5.7-inch 1440p Quad HD (1440x2560) screen but only a one day (3000mAh) fast charging battery. The processor in this phone is a 1.8GHz Qualcomm Snapdragon 808 with hexa-core CPU (MSM8992), Adreno 418 GPU, plus a natural language and contextual computing processor. It has 3GB of RAM. Though offering the same pixel count as the Moto X Play, the X Style is said to boast "one of the best cameras in the industry," as testified by a DxOMark Mobile Report. Buyers of the X Style will also benefit from a Selfie flash system on the front. As befits its name, this smartphone offers the most customisation options of the range with a variety of vibrant colours or authentic back materials including new Saffiano leather and real wood with unique grains. 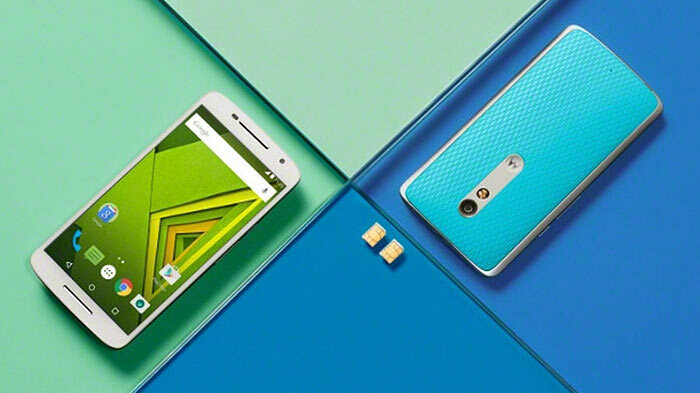 The UK RRP of the Moto X Play is £299 and it will start to become available next month. 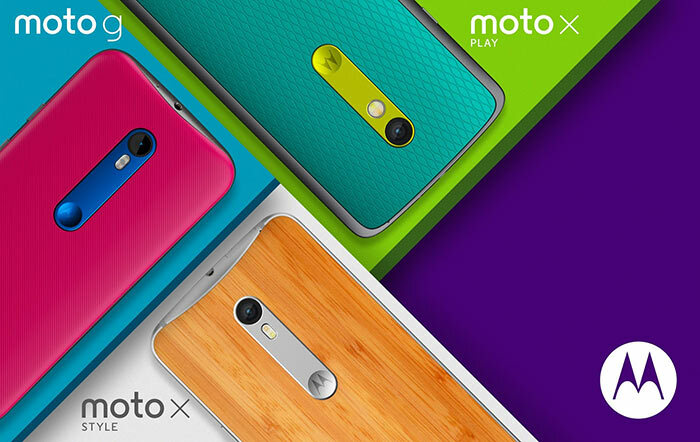 The Moto X Style is priced from £359 and will begin to become available from September. 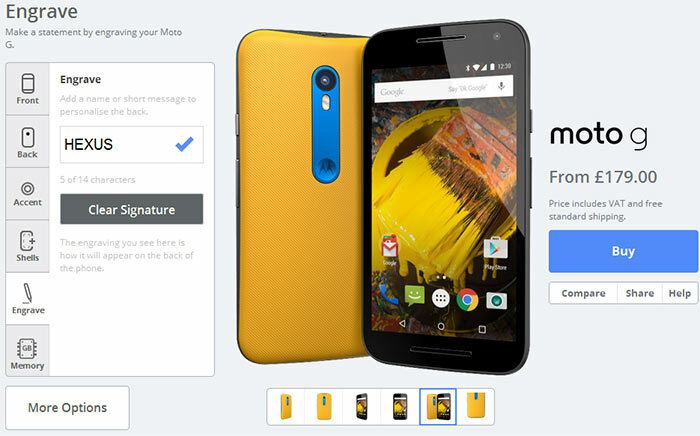 All Motorola's new smartphones will benefit from upgrades to Android M later this year. Moto G looks interesting, but is certainly losing it's original focus, which was decent quality, low price and very good value for money. But each successive generation up's the spec (which is good), but also up's the price (which isn't, for the initial market, at least). A phone at £180 is in a different category to one at <£100. So for this new one, as someone that would be looking for the original Moto-G type phone, does gaining a 13MP camera, 4G and/or IPX7 really matter? Nah. Does the price? Hell, yes. So either Moto have changed target market, or lost the plot. It used to be in a league of it's own, but it's now a bit ‘meh, me too’, IMHO. Dare I suggest they established a name with the original, and are now looking to cash in. It makes the original look like a deliberate strategic loss-leader. So have we departed from the era of one handed flagship phones? Having paid just under £150 for the MotoG2, there is really nothing in the new version that says its a must have. The phone itself is very good, just a pity about the latest incarnation of the operating system - although now I've got to grips with its quirks it isn't to bad to use. At the end of the day, it allows me to make calls, send texts, read e mails and do some web browsing, and sync my calendar with iCloud (thanks to some cogent advice from fellow HEXITES :hexlub: . And thats enough. Motorola has taken a safer step by launching multiple devices to attract consumers in all segment. Considering the numerous budget friendly yet decent devices from the various Chinese OEMs, Motorola rather understood the the better way to approach the market for this year.